More primetime, hi-grade drum & bass from the ever on point Critical collective. Label boss Kasra uses his sixth sense once more to uncover these two gems for his Modulations imprint from Holland’s Bart van Dijk and Mark McCann aka June Miller. Once again standards are high, no room for error when Critical’s nearby! A rocksteady two-step break leads the way into ‘Snapcase’, one of the coolest slices of future flexing D&B yet seen on Modulations. It’s all about the drop into dry, tech-step territory that you can be sure smashes any dance floor with ease while the syncopated bass hook grabs and never lets go. File alongside Break and Phace. ‘Walls Of Jericho’ as the name suggests opens with an ominous cinematic soundscape of dark horns and panning percussion before some serious bass surges and panic-laden snares build to a killer climax. 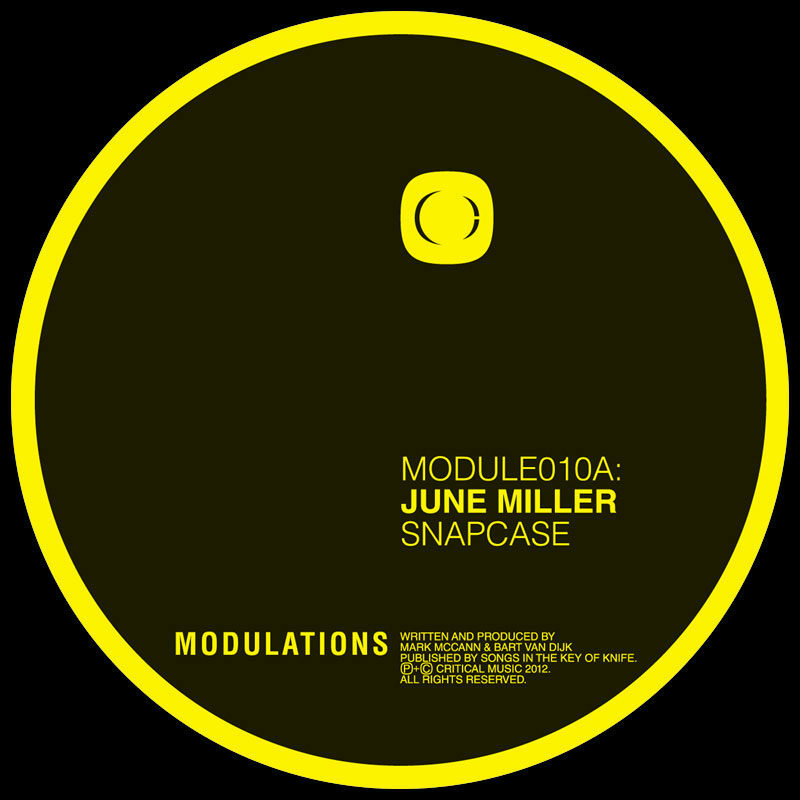 Huge off-kilter breaks and ingenious edits then carry it away into possibly the heaviest track yet to have seen a release on Modulations. A great way to kick off 2012.